All of us need to go out in the sun, be it for travel or work, but the strong sunlight and UV rays can be detrimental to our skin and regular exposure to strong sunlight can lead to tanning on our skin. 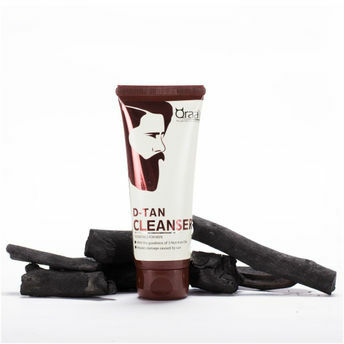 To help you get rid of the unwanted tan, Qraa has created this highly effective D-Tan Cleanser specially for Men. Combined with natural cleansing agents like Tea Tree and Clove Oil, Qraa D-Tan Cleanser works directly on your skin and provides instant smoothening and whitening benefits.